The life of an elderly married couple is made up of subterfuges, little acts of spite and misadventures. A storm of misunderstandings and problems in the service of an absolutely original comic style. 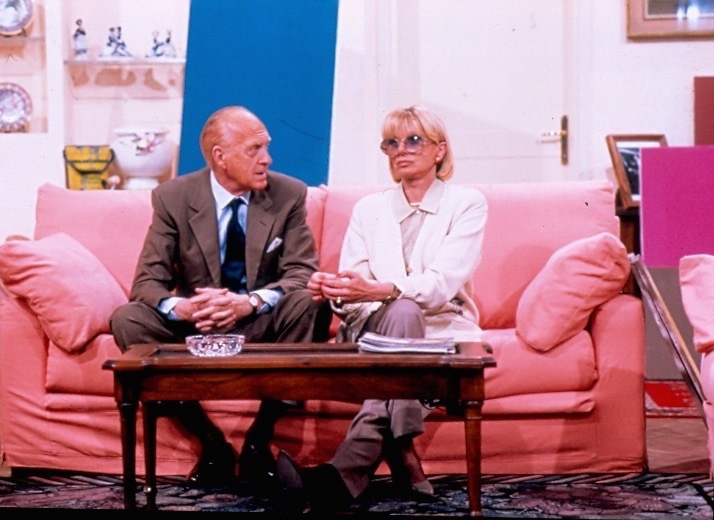 Young Enough is an hilarious sitcom set between the walls of the home of Sandra and Raimondo Vianello. It tells of the ups and downs of two well-known showbusiness personalities, involving misunderstandings and exhilarating conclusions. Raimondo, incessantly in search of the confirmation of his youth, tries to charm younger women with his trademark irony. Sandra, in the role of a woman who is a bit dizzy, nervrotic and obsessed, is sometimes aided and abetted by the housekeeper in boycotting the shady plans of her husband. They are episodes of daily life, the need to comprehend and to humour in order to keep the relationship between husband and wife alive.